This is certainly thicker than their fruity yoghurts, which is a good thing, as they were too runny. 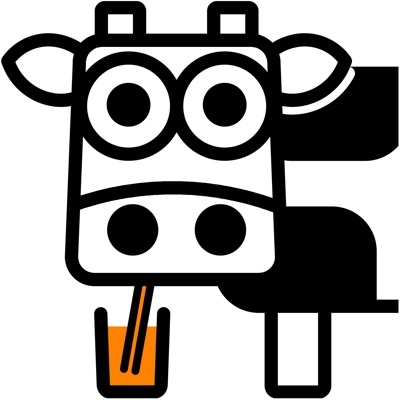 To compare it with brands you may know, this is closer to Sojade (winner of our Taste Test) than Alpro. 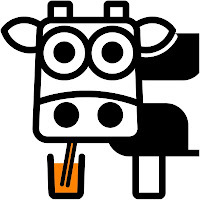 Sojade is completely natural, being just cultured soya milk, whereas Alpro 'Simply Plain' is more of a processed product. Where the this Joya yoghurt falls down is in the 'beany taste' measure. Just like early soya milks, this has that distinctive earthy beany taste. If you're a hardened vegan, you may find this acceptable, but for people more used to cow's milk yoghurt, we think this will be a turn off. 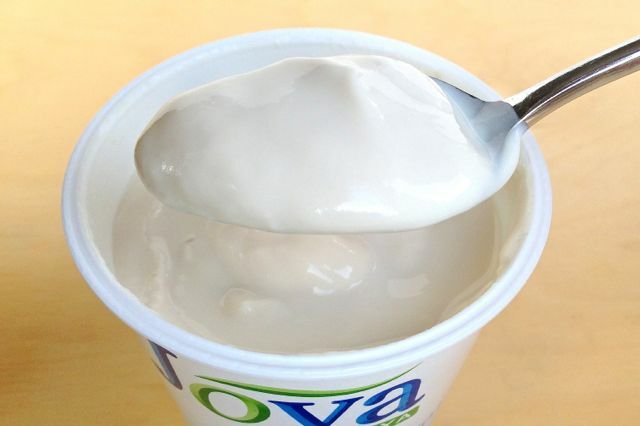 Apart from the beany taste, this yoghurt is thick, creamy and smooth and has a nice tang. Add a little fruit compote and you may never notice the beany taste. We recommend this over Joya's own fruity yoghurts. Didn't think this was 'beany' at all. 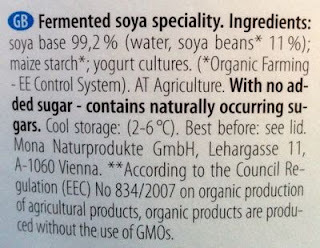 I am not vegan but have family members who are milk intolerant, until now the only alternative has been Alpro but it seems they have messed with their recipe over the years making it sweeter and sweeter therefore useless as a true alternative to plain natural dairy yogurt. I saw this in the supermarket and decided to get instead of the usual and was not disappointed, believe me this tastes as near to plain natural yogurt as it gets, it has a slight sour flavour and not sweet at all. Finally something to use in curries or as a replacement for soured cream with chilli. 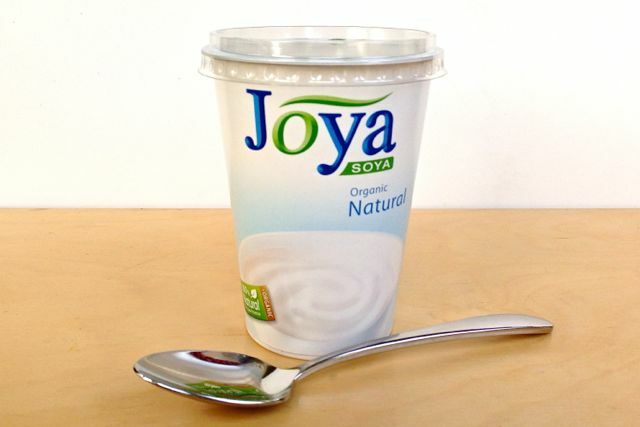 Joya soya please don't mess with your product ever and please sell it on ocado too! The trouble with reviewing stuff is that you specifically look for characteristics like beaniness, so you tend to notice things that might not be apparent when eaten more casually. It is a bit beany also has a slightly bitter aftertaste, probably wouldn't have it on it's own but I bought it for cooking as the above anonymous suggested and I think it will be better for that than alpro or coyo both of which are too sweet for anything savoury at present. 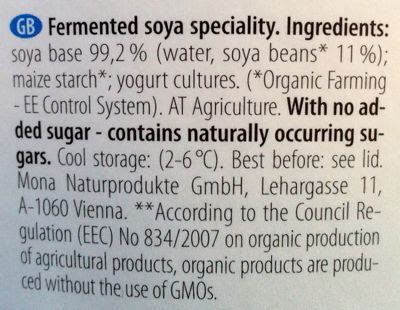 I believe coyo will shortly be taking the xylitol out of their plain yoghurt though.